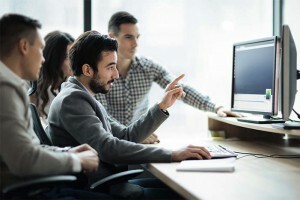 The new website connects customers to industry experts and the world’s most complex testing, inspection, and certification solutions. Calabasas, CA (January 10, 2017) National Technical Systems (NTS), the leader in advanced testing, inspection, and certification solutions in the North America, is pleased to announce the launch of its newly designed website at www.nts.com. The completely revamped website features simplified design, improved functionality and enriched content areas to help customers make well-informed decisions about their testing and inspection needs in different sectors such as space, defense, aviation, nuclear, energy, technology, transportation, medical, and telecom. The new website offers a responsive design, which is optimized for viewing on any screen size to fit the growing mobile audience. 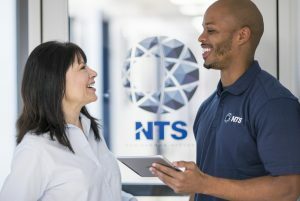 Prospects and the company’s over 4,000 customers can now access NTS experts, industry information and educational resources easily from any device, including directions to any of our 28 laboratories. With an enriched user experience, customers are able to find the information they need to help them achieve their business goals. National Technical Systems (NTS) is the undisputed leader environmental simulation testing, inspection, and certification services. Since 1961, NTS has built the broadest geographic presence in the United States, offering more than 70 distinct environmental simulation and materials testing categories, including climatic, structural, dynamics, fluid flow, EMI/EMC, lightning, product safety, acoustics, failure analysis, chemical, and other industry-specific tests. NTS is accredited by numerous national and international organizations and operates its inspection division under the Unitek brand, providing a wide range of supply chain management services. NTS’ certification division, which operates under the NQA brand, is one of the largest and most respected global ISO registrars, with active certifications in more than 75 countries. For additional information about NTS, visit our website at www.nts.com or call 800-270-2516.